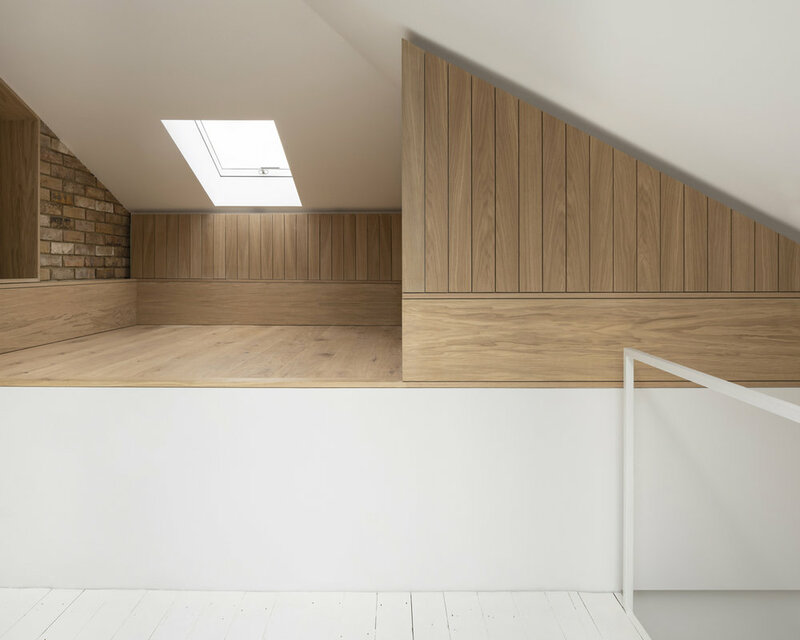 One of our clients had recently started working from home, an appropriate study / office space was required and as no alternative locations in this tight urban property were viable, the existing attic was an obvious choice. For this locally listed property, an existing hipped roof complicated the possibility of altering or extending into the roofscape. Development was however possible by portraying to the council through intensive iterations, the relevance of a latent historical typology found elsewhere in the conservation area – the ‘single dormer window’. Typical precedents for these are windows that are centred on the fenestration patterns below, with the walls and roof clad in lead; the quintessential material for tricky moments in older buildings such as gutters, valleys and flashings. Time and technology have moved on however, we can to better than this – more is possible. The concept for the scheme therefore centred around maximising the potential for this tight space within this contentious context. 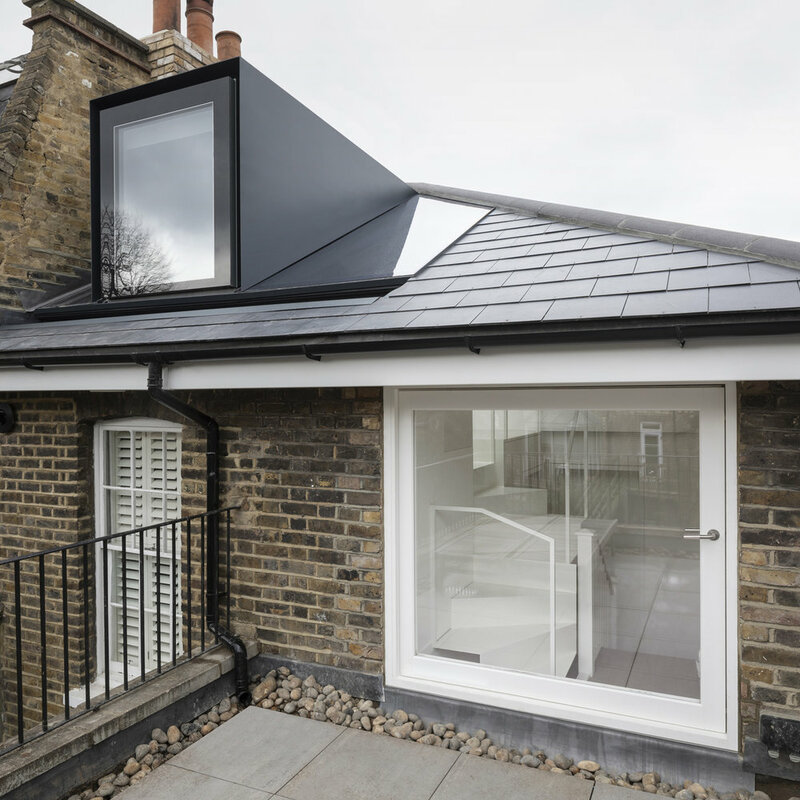 A large opening to the rear was created to maximise light into to space, allowing for greater head height and facilitating an intriguing, tactile relationship to develop with the existing prominent brick chimney and parapet; typically confined to the otherwise distant world of roofscapes. 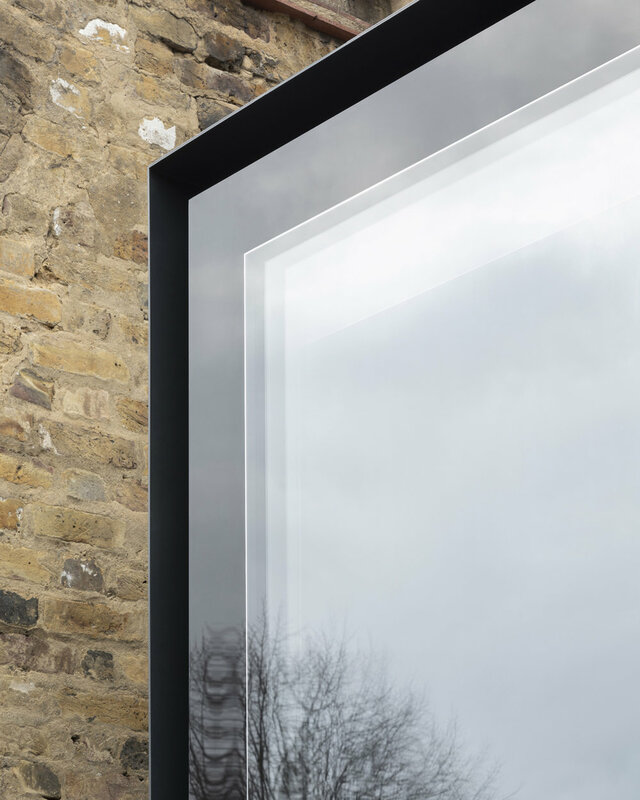 A contemporary anthracite steel element is then placed within this opening, spanning across the void. Internally the transition into the realm of the roofscape is marked with a strong horizontal oak datum; a nod to the facias that externally distinguish this zone. Achieving adequate head height was a major challenge, as access to this level from the existing stairwell was directly below the existing hipped roof. 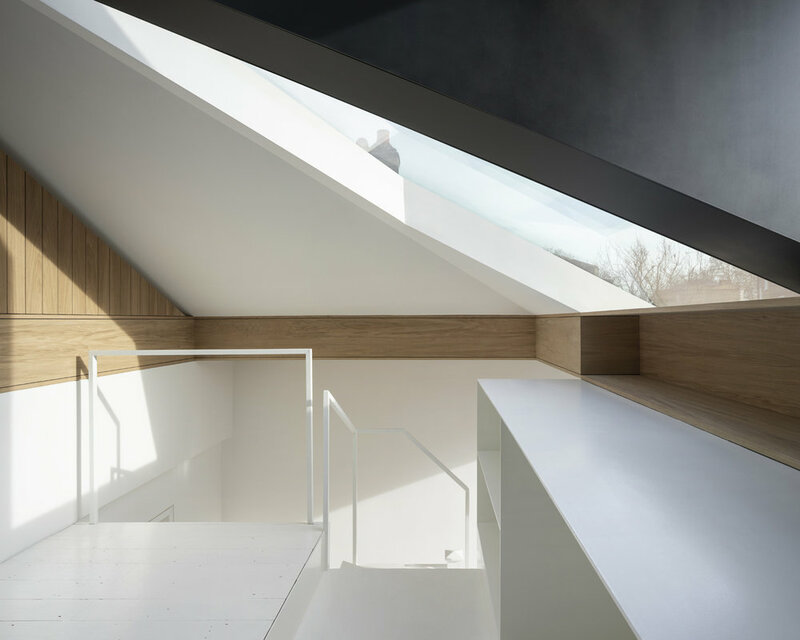 Solutions included a thin folded steel stair, maintaining the clearance to the stair flight below and a new stepped floor to the study / ceiling to the bathroom below (incorporated into the desk). This project proves that even in contentious locations, or tiny resultant spaces – more is possible.